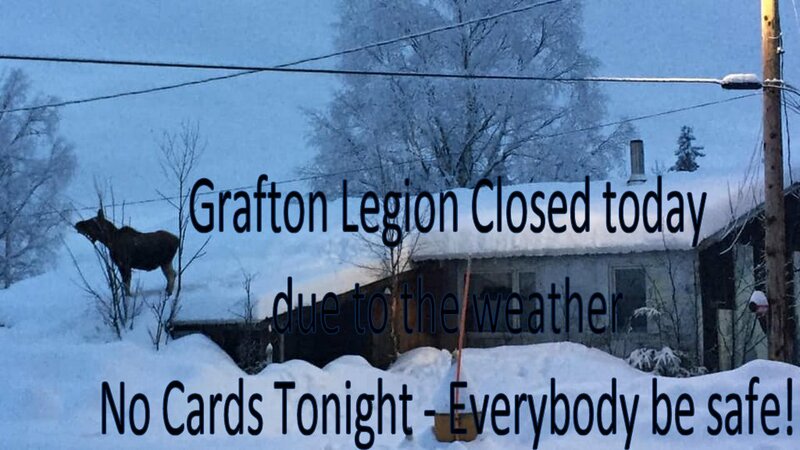 Ok, looks like the roads are terrible and the weather just isn’t going to give us a break, so the Grafton Legion is CLOSED ALL DAY today (Wednesday February 13, 2019) and that will means no Moonshot Euchre tonight. Thursday night is supposed to be our rescheduled Executive Meeting at 6:30pm and General Meeting at 7:30pm. Hopefully everything will be cleared up by then!